Sandy Dog Studios is run by Artist Sandy Myatt. She is located at the Wrentham Country Store. Items change weekly, so be sure to stop by and make your purchase before the item is gone. Sandy has been painting most of her life, first using oil paints when she was a little girl as she borrowed her mother's paintbox. She has been a scenic artist for local theaters since 2004, painting sets for 30 different productions from RENT to Hairspray. She currently teaches Theatre Production Lab at Dean College in Franklin, MA. She is also a fine art and furniture painter. Beautifully upcycled vintage pieces can be found in her collections as well as handmade burlap and buffalo check runners and Sandy Dog Decor beads and swags. A variety of photo note cards are also available to send or keep for yourself and frame. You can always find Sandy Dog Studios on Facebook and Instagram throughout the year. If you see something you are interested in, please note that small items can be shipped. Furniture items can be delivered locally for a fee. All items final sale. Please private message Sandy Dog Studios in Facebook or comment on Instagram post. 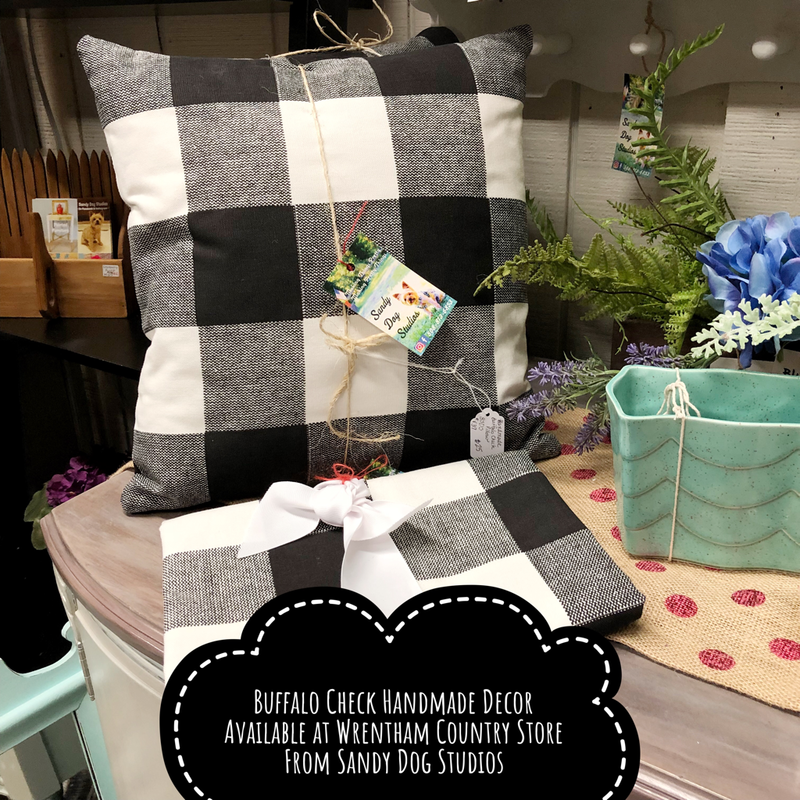 Many handcrafted items with touches of modern farmhouse decor including wreaths, wooden bead decor, hand made signs and mini-paintings to make your home ready for guests. Many unique vintage items, upcycled and fun, can make your gift giving memorable! Stop by today for a creative gift for someone special or something for yourself!